I’ve completed month number 3! I’ve just got 3 quarters of the year left to do! The weather has been horrible again today! I didn’t spot any dogs at dinner time but I did near my work when I left but I had to dash for a train! The train was slower than usual so I didn’t have time to look for a dog before I picked up Ethan from nursery so I had to wait for my husband to get back from work; the weather was way too bad to take Ethan on a dog hunt! As soon as I could I headed out. 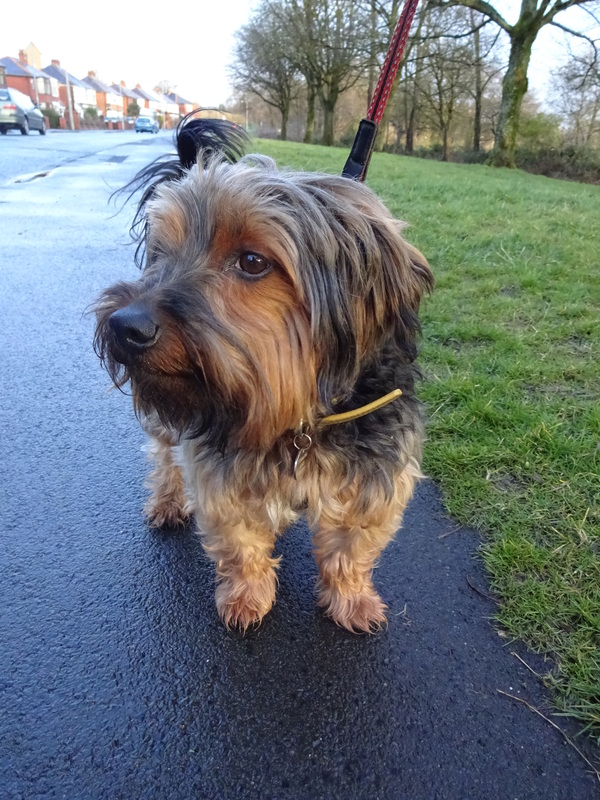 I walked for around 30 minutes without much luck; I was loosing hope when I turned a corner and spotted lovely Bobby a very cute Yorkshire terrier. I was very relieved! Favourite toy: Anything that squeaks! They usually only last him a week!